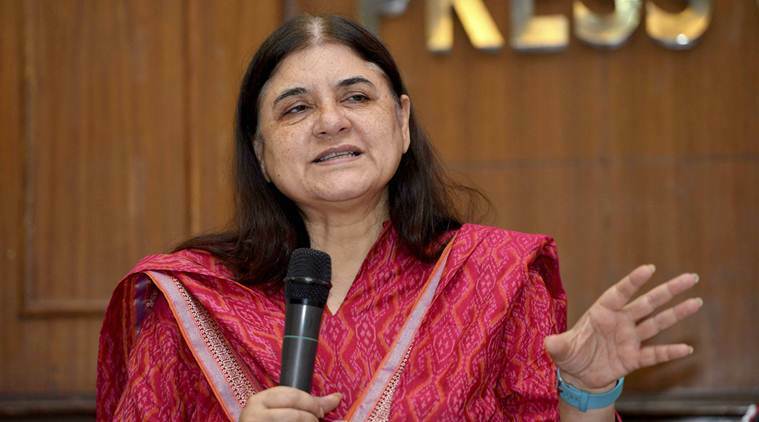 Maneka Gandhi, later in the day, claimed that her words had been twisted. New Delhi: At the core of Maneka Gandhi’s appeal to Muslim voters this week in Sultanpur was a threat: ‘Vote for me or don’t come to me for any work after elections’. In a video clip that has been circulating on social media, Gandhi can be seen addressing a meeting. In the video, she begins by telling the voters gathered that she is sure of winning her seat. “Main jeet rahi hun logon ke pyar se. Lekin agar meri jeet musalmanon ke bina hui to mujhe bahot acha nahi lagega kyunki fir dil khatta ho jata hai (I am winning with the love of people. But, if my victory is without the Muslims then I will not like it),” said Gandhi. Then she goes into detail about the principal-agent relationship that voters and their representatives share, while pointing her gaze at the Muslim community. “Jab musalman aata hai kam ke liye to main sochti hun ki rehne do kya farak padta hai kyunki naukri saudebazi hi to hoti hai. Ye to hai nahi ki hum Mahatma Gandhi ke cchate aulad hain (If Muslims come for some work after that, I will think ‘what difference does it make’. Because employment is a negotiation after all, isn’t that right? We are not Mahatma Gandhi’s children to keep giving without getting anything in return),” she said. Maneka Gandhi is a seven time member of parliament having won six times from Pilibhit. However, this time she will be contesting from Sultanpur where her son Varun Gandhi contested and won in 2014. He will now be contesting from Pilibhit.